Looks like in this highly competitive market Verizon does not want to take any chances. And for the same reasons its engineers drove a four-wheel drive sport utility vehicle through Atlanta and Georgia as a Verizon Wireless test vehicle. The unmarked test vehicle traveled more than 20,500 miles to test the Verizon wireless network and also the networks of competitors. The tests were done in the first half of 2010. Verizon has been long claiming better coverage and connectivity than AT&T. Verizon used sophisticated testing equipment across both states and made about 59,294 voice call attempts and 345,508 data tests on the Verizon Wireless network and also on the networks of major competitors. Looks like Verizon wants to prove literally, the “nation’s most reliable wireless network” claim. The results of the national voice reliability tests consistently show that the Verizon Wireless network beats all other carriers. These tests will help Verizon plan its multi-billion dollar network. 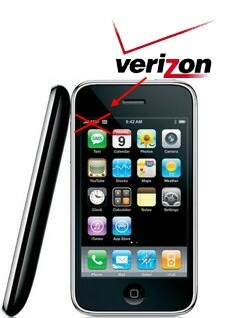 Verizon has been spending about $5.7 billion every year to increase its coverage and capacity of its service. I might switch to Verizon! Verizon’s Summer device catalog leaked! Well Iphones seem to have problems due to the location of its antenna. Also there is a lot of interference from other devices.